If your home’s patio doors have seen better days and are no longer offering the attractiveness and functionality you’re hoping for, Compozit Home Systems can install durable and stylish replacement doors that will improve your home’s aesthetic appeal. We’re a family-owned and -operated home improvement contractor that has been helping residents of the Louisville, Kentucky, area upgrade their homes since 1982, and we’re proud to have more than 140,000 satisfied customers to date. Customer satisfaction is of utmost importance to us, and we proudly maintain an A+ rating with the Better Business Bureau. 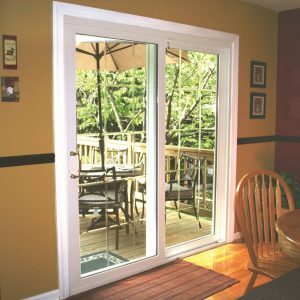 Our patio doors are manufactured locally and offer the same customization options as our Compozit replacement windows, along with outstanding energy efficiency. By helping to reduce heat transfer and eliminate air leaks, our doors can reduce the workload for your home’s HVAC system, potentially leading to savings on energy costs. And, no matter which style you select, you will be able to customize your doors by choosing from a variety of paint, stain, glass, and hardware options. Contact Compozit Home Systems today if you would like additional information about the stylish patio doors we offer to homeowners in the Louisville, KY, area. Be sure to ask about our convenient financing plans, which are available to homeowners who qualify.